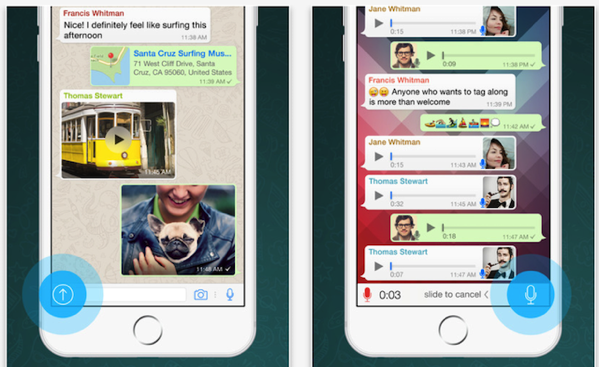 The latest update to WhatsApp for iOS has introduced the ability to send any type of file to your contacts, including full length MP3 music files (via TheNextWeb). The feature has been in testing for the past few weeks and also works on the web-based client. In addition to the ability to share any kind of file on iOS, the latest WhatsApp update also lets you select photos and videos straight from the camera screen with the help of a new carousel of images from your gallery. Add color filters to your media. Just capture or select a photo, video, or GIF, and swipe up to pick a filter. When you receive multiple photos from the same sender in a row, they’ll now be grouped together as an album. New reply shortcut: simply swipe right in any message to quickly reply to it. The latest version is rolling out globally in the App Store as a free update.